Sometimes, things don’t go according to plan. This was supposed to be Jordan Bell’s breakout season. The versatile defensive specialist already drew comparisons to Golden State Warriors All-Star forward Draymond Green and this past season, Green had taken Bell under his wing. After averaging 4.6 points, 3.6 rebounds 0.6 steals and 1.0 blocks in only 14 minutes per game in his rookie year, he majorly impressed in this season’s preseason. Everybody thought for him to have a key role for the Warriors, at least until DeMarcus Cousins returned from injury. Well, Boogie is back but Bell was playing only limited minutes all season long. He’s been one of the most underwhelming players this season, a fact that obviously frustrates him. When you’re frustrated, your nerves reach a breaking point, and it seems as Bell has reached that breaking boint. 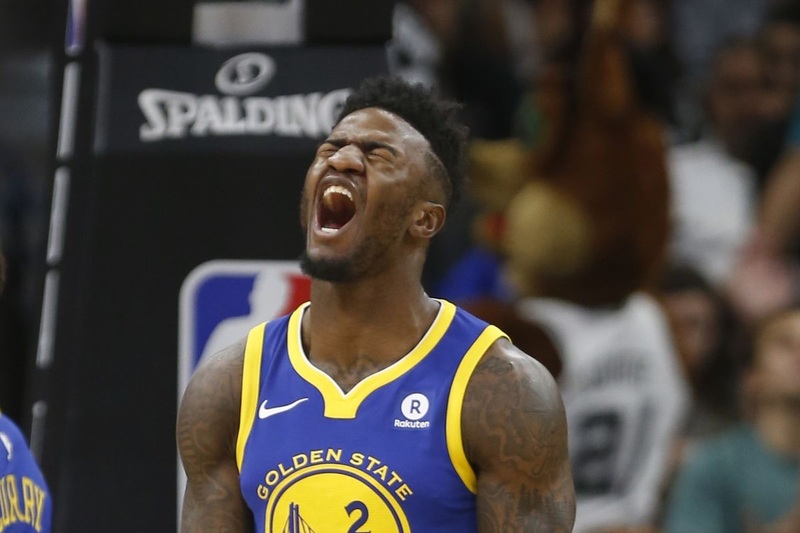 In last night’s game against the Los Angeles Lakers, Bell and his head coach Steve Kerr got into a shouting match. Kevin Durant even had to calm him down and pull him away.